At the beginning of February Groglass® team had the opportunity to join the Latvian-South Korean government delegation and participate in the Latvian-South Korean Business Forum. 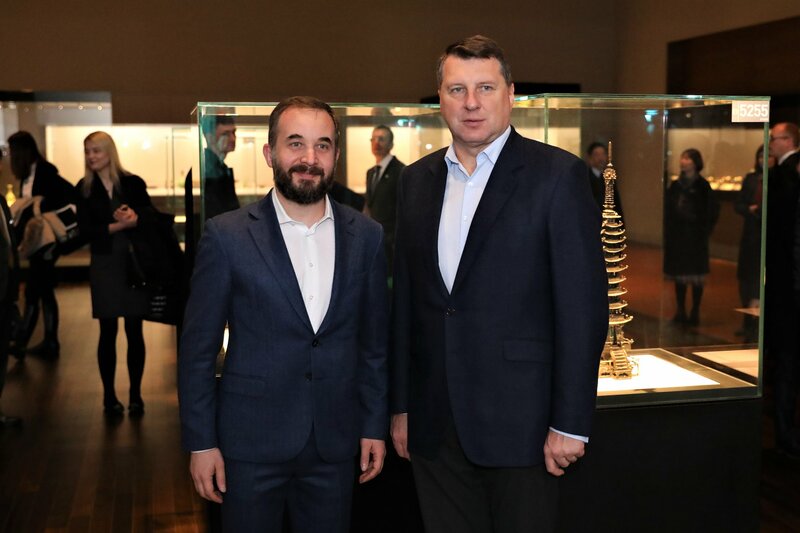 During the visit the delegation had great possibility to see the showcases made of Artglass™ anti-reflective glass at the renovated Korean National Museum. We are honored that Artglass™ has been chosen to protect and give the museum visitors the opportunity to view South Korea’s valuable exhibits. In the photo President of Latvia Raimonds Vējonis and Sasha Kelberg – Founder and Chairman of the Board at Groglass®. Photo: Chancery of the President of Latvia.